He won’t be the first, or the last, former NASA astronaut to throw their hat in the political ring. Four-time spaceflight veteran Mark Kelly let the world know on Twitter that he is going to try to join the U.S. Senate. Kelly has some pretty big shoes to fill, those of Sen. John McCain who died Aug. 25, 2018, at the age of 81. A special election is slated to be held in 2020 to determine who will take the veteran senator’s seat. Kelly intends to run as a Democrat. If elected he would serve out the remaining two years of McCain’s six-year term. A video Kelly posted early Tuesday highlighted his unique experience and how it has prepared him for the position he hopes to fill. In it, Kelly said that he has seen a “retreat” from science, data and facts and asked for voters to help solve these problems. 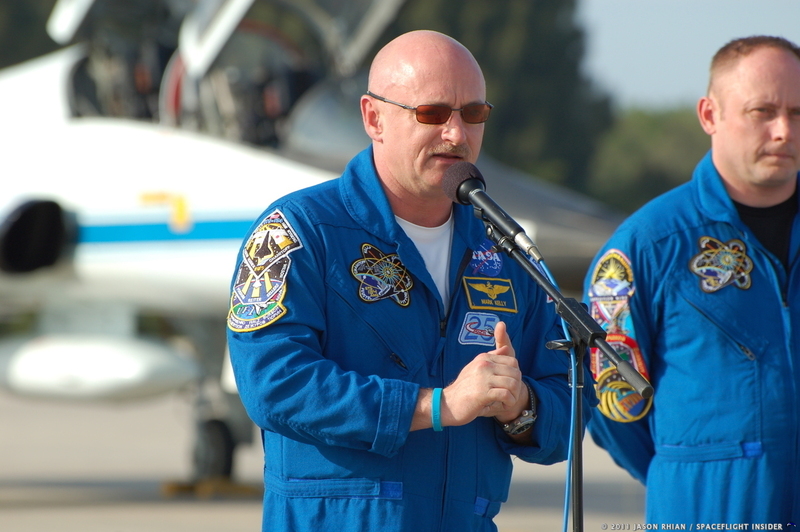 Kelly left NASA to help assist his wife, former Congresswoman Gabrielle Giffords, after she was shot by Jared Lee Loughner who killed six other people during an attack he carried out in 2011. Giffords also made an appearance in Kelly’s video announcement, which mentioned the incident that would eventually see her resign. If successful, Kelly would join the ranks of John Glenn (Mercury Atlas-6), Jack Swigert (Apollo 13) and Harrison “Jack” Schmitt (Apollo 17) who started off as astronauts and moved on to become senators. Senators Bill Nelson (STS-61C) and Jake Garn (STS-51D) followed the opposite path, starting off as politicians and parlayed that into trips to space. May be Kelly really wants to run for the presidency in ’24 should Trump be re-elected? It would be great having an ex-astronaut in the Senate again, but I’m not convinced he would be any better for NASA’s fortunes than Glenn, Garn and Nelson were.